A couple of months back I happened to win a random runners-up prize in a local raffle. It was two tickets to see American Country Singer Gretchen Peters in concert. ‘New Country’ isn’t really our thing, but my husband and I went along when the date finally rolled around this week. I didn’t know anything about Gretchen’s music but having looked her up online she had an enthusiastic fan base who heralded her as an inspired musician and a poet. There are worse ways to spend a Wednesday evening. Sitting there in the sold-out auditorium listening to each song for the first time I suppose some of my worst fears about country music equating with misery lyrics was proved right. Some of the inspirations for her songs were very dark and alluded to all sorts of family breakdowns, alcohol issues and even sexual abuse and murder. Allowing for artistic license, I just hoped as a therapist that she’d found help for herself or maybe just writing and singing her lyrics was therapy enough for her. One of her songs, ‘Say Grace’ was particularly beautiful in its simplicity and it resonated with me. The song wasn’t religious in an orthodox way, but it was certainly spiritual. It focussed on the ability to forgive oneself for all one’s mistakes which is a primary tenet of mental well being and emotional health. She goes on to remind her listeners that if it means beginning all over again, then you can and that for me spoke of optimism and hoped even in the darkest of times when you’ve hit rock-bottom and not sure which way to turn. Most powerfully the last two lines of the chorus are an invitation to come inside and set yourself a place at the table and say grace. Grace is the oldest form of gratitude that we can express. You don’t have to believe in a god on high to take a moment to thank the universe or some higher power for providing nourishment as you sit down to eat. The idea of home, of coming home, is something many people including myself have had to strive for. It reminded me of several decades ago when I was a newly single parent with a confused and sad five-year-old boy. We had lost a lot and I wasn’t sure we’d ever find our true home again. I can recall how overwhelming that felt and how peaceful it feels now to know all this time later that my son has found his way home and so have I. 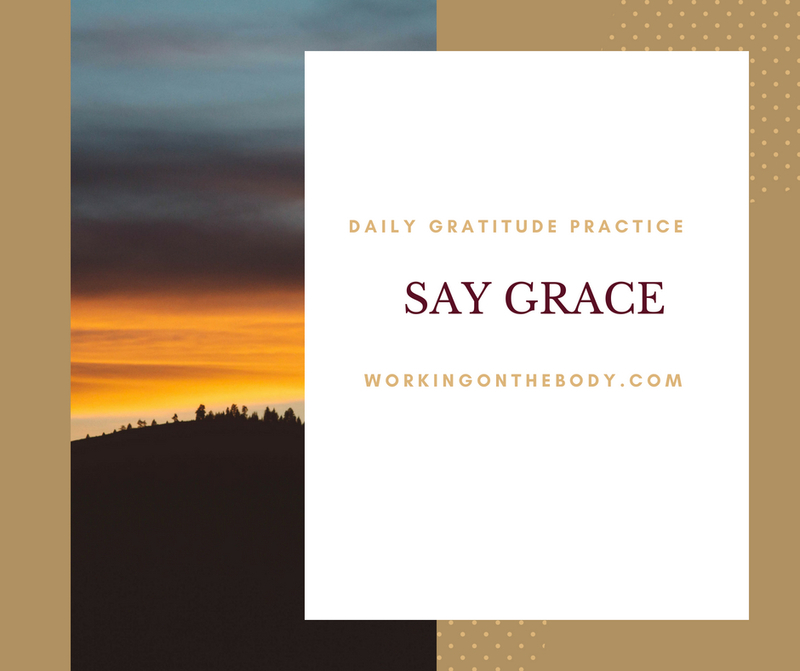 Gratitude work is one of the oldest and most effective ways to improve our feelings of being grounded and it’s a way to come home to yourself. I highly recommend it as an act of affirmation to include in your everyday life. At the end of your day, preferably just before sleep, just jot down in a notebook all the things that happened to you during the day that you are grateful for. The physical process of hand-writing these are important so preferably no typing. In tough and challenging times it can be really difficult to recall anything to feel grateful for but as you commit to this nighty process more things will come to you and eventually they will more readily come to your mind. Psychologists have worked out it takes twenty-one days to embed a habit so commit to doing this for three weeks and you may find it so valuable to your wellbeing that you just happily continue. The daily process of recalling everything you feel grateful for will reap more happiness for you in an almost magical way. Begin first with five things you are grateful for and try to increase this over several days into a list of fifty things you are grateful for. When your written list is complete it will enough for you just to read it out to yourself to gain the optimal benefits before you go to sleep. You’ll sleep soundly and while you sleep your subconscious mind will focus on everything you have already to set up the ideal mindset for feeling grateful and abundant when you wake the next morning. 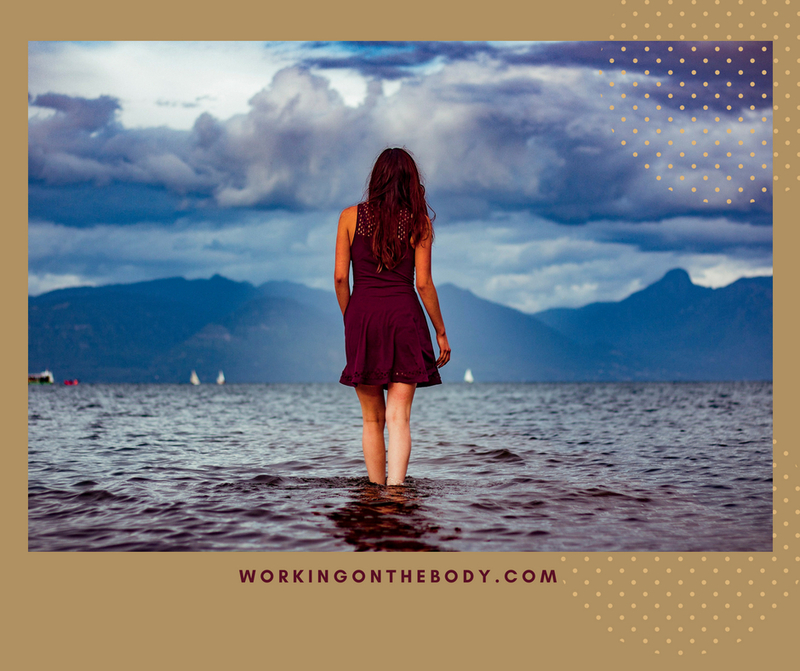 If you’re struggling to find your way home or focussing more on lack than abundance then you may need some professional help to transform your limiting beliefs. Reach out and schedule an obligation free discovery call with me. The link is on this page.